Pakistan’s air force chief Marshal Sohail Aman has warned India against escalating the dispute over the Muslim-majority Himalayan region of Kashmir into a full-scale war amid soaring tensions between the two nuclear-armed neighbors. Moreover, Pakistan’s United Nations Amb. Maleeha Lodhi has urged the international body to take action to ease tensions before the ongoing clashes between India and Pakistan along the Line of Control (LoC), a heavily militarized and mountainous frontier that divides the sections of Kashmir controlled by each country, becomes a “full-fledged crisis,” reports the Press Trust of India (PTI). On Thursday, Pakistani Prime Minister Nawaz Sharif held a high-level security meeting to discuss the ongoing confrontations along the LoC, saying in a statement, “We will never abandon our Kashmiri brethren in their freedom struggle,” according to the Associated Press (AP). Amid the intensifying clashes between the two regional rivals, Pakistan’s air force chief Aman warned that if India further escalated the crisis, Pakistani troops would “know full well how to deal with them,” notes Radio Free Europe/Radio Liberty (RFERL). “We are not worked [up] about India at all, it is better if they show some restraint,” added the Pakistani military chief. India, Pakistan, and China have competing claims to the Kashmir region. China, which is considered to be diplomatically closer to Pakistan, has stayed on the sidelines of the conflict, maintaining a relationship with both countries. Pakistan and India have fought two of their three wars over Kashmir. In recent months, both countries have ignored the 2003 Kashmir ceasefire. 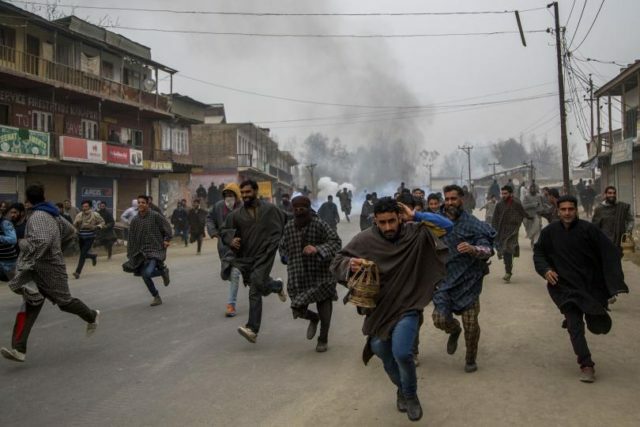 In the latest series of deadly exchanges over Kashmir, the Pakistani military declared that shelling from Indian territory killed at least 15 people and wounded nine others on the Pakistani side on November 23, marking the deadliest incident in the region in recent weeks. Pakistan’s army initiated “indiscriminate” fire on a post manned by Indian soldiers, claimed the Indian military in justifying its recent attack on Pakistan-controlled Kashmir. Earlier this week, India had vowed to retaliate after it discovered the mutilated body of one of three Indian soldiers allegedly killed by Pakistani troops. The strained relationship between Indian and Pakistan worsened following the killing of Burhan Wani, commander of the Kashmir-based terrorist group Hizb-ul-Mujahideen, by Indian troops in July. Tensions intensified further in September after India accused Pakistan of helping militants carry out an attack on Indian-held Kashmir that killed at least 18 Indian soldiers. In retaliation, India attacked Pakistan-controlled Kashmir with “surgical strikes,” reportedly killing 38 terrorists. Pakistan has denied the strikes, stressing that Indian troops used small arms and mortars to specifically target Pakistani military personnel, killing two soldiers and wounding nine others. India has long accused Pakistan of backing Islamic terrorists in Kashmir who are fighting for independence from India or in favor of a merger with Pakistan, a charge that Islamabad denies. Meanwhile, Pakistan accuses India of human rights violations, namely cracking down on dissent in India-held Kashmir. In a statement issued by the Permanent Mission of Pakistan to the UN, Pakistan’s UN Amb. Lodhi described the recent clashes as “deliberate attempt” by India to “divert the attention of the international community from the gross human rights violations being committed” by it in Kashmir, according to PTI. Despite the deteriorating security conditions, Russian UN Ambassador Vitaly Churkin, president of the UN Security Council (UNSC) for the month of October, decided to ignore the intensifying tensions between India and Pakistan over Kashmir. The UNSC “is not discussing the issues between India and Pakistan and has no plans to do so,” conceded Churkin in early October. Pakistan has urged the UN to deploy peacekeeping troops to Kashmir “to effectively monitor the LoC and the working boundary as a step to help ease the tension,” notes PTI.